These days, it feels like Marvel’s relationship with Netflix can do no wrong. The duo first teamed up to bring Daredevil to the small screen before Jessica Jones followed. Recently, Luke Cage’s solo series released to critical acclaimed, and Iron Fist will be the next show to stream on the site. Once the martial arts hero has made his debut, fans will finally get to see The Defenders assemble to take on an unknown baddie in Hell’s Kitchen - and we’ve finally learned what the show’s working title is today. According to Production Weekly, The Defenders is being shot under the working title, ‘Group Therapy.’ The title clearly teases fans about the tone and topics seen in the series. The phrase ‘group therapy’ will surely make some fans envision the New York vigilantes sitting in a circle, sharing their secrets and dark pasts with one another. While that kind of touchy-feely communion does seem unlikely, the fact does remain that The Defenders will wrangle up some fairly volatile people who really would benefit from a cry session or six. So far, fans know very little about The Defenders and what it will focus on story-wise. However, the cast did appear at New York Comic Con earlier this month and dropped a bombshell about the show’s villain. They announced Sigourney Weaver would play the big bad on The Defenders after several persistent rumors connected her to the Marvel Cinematic Universe. Fans also know that The Hand may become a major threat for the vigilante posse in The Defenders. Iron Fist will reportedly introduce the mystical villain ahead of time. Earlier this year, fans got a first-look at the show during San Diego Comic Con. The massive event released a teaser trailer that featured Nirvana’s “Come As You Are” while a voiceover of Stick says, “You think the four of you can save New York? You can’t even save yourselves.” Netflix posted the video to Youtube with a brief caption, "Marvel's The Defenders will unite Daredevil, Jessica Jones, Luke Cage, and Iron Fist, as they face their biggest threat yet." A new logo for the Netflix series was also released at that time. Daredevil seasons 1 and 2; Jessica Jones season 1; and Luke Cage season 1 are all available on Netflix. Iron Fist will premiere on March 17, 2017. 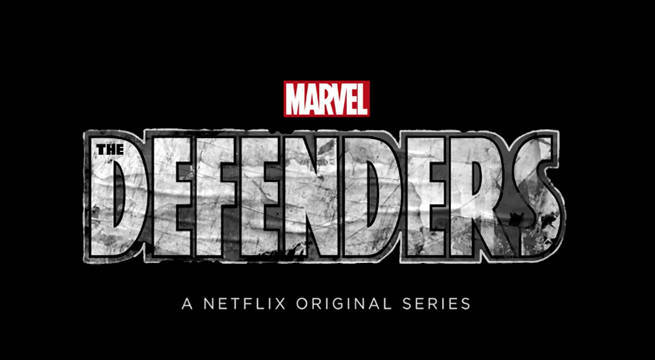 The Defenders expected later in the year. The Punisher does not have a release date yet.